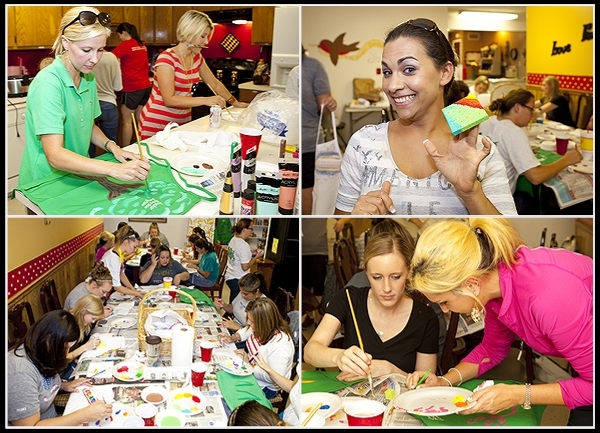 Last night, the ladies of the Huntsville Junior Service League had a great opportunity to partner with the Hospitality House to impact the lives of families who have a loved one incarcerated in town. The Hospitality House provides more than just a shelter to the visiting families, but also a home cooked meal, a warm and supportive atmosphere, access to their food bank, a shopping opportunity at in Santa’s workshop at Christmas, and a whole lot of love! Out of that love has come the newest addition – a Children’s Building where children can play games, participate in “Art Against the Odds” art therapy sessions, music therapy, reading readiness program, and good ole FUN! “Art Against the Odds” was developed to provide a non-verbal means of expression through the making of visual art. This program is important because as the children participate, they are able to release many of the built up emotions that are caused from the high levels of stress within their lives in a fun, non-aggressive way. 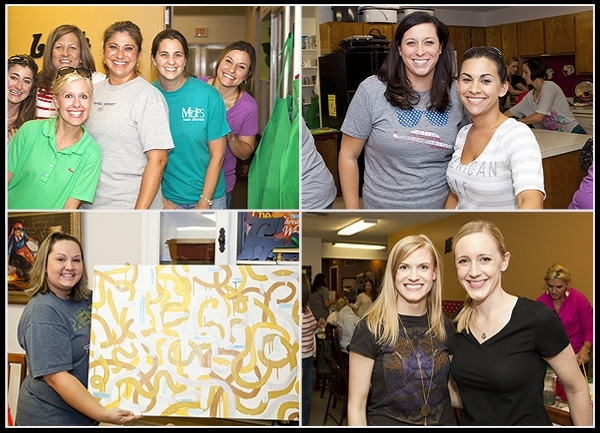 It was a great privilege for us to have our service social at the house where we were welcomed like family. 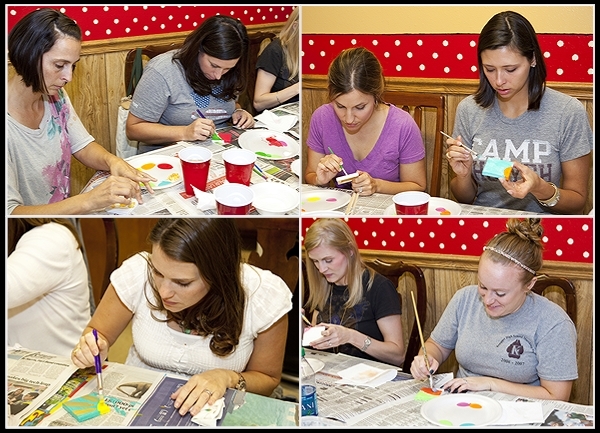 After we shared some fellowship, a yummy meal, a tour of the facility, we began our own art therapy! 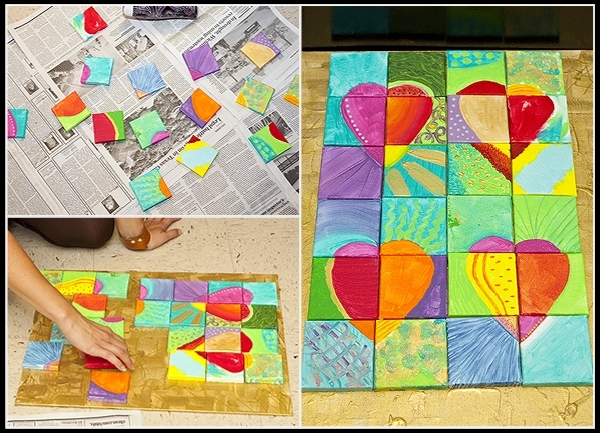 Molly Davis created a version of Jim Dine’s “Four Hearts” onto small canvases that each member painted. 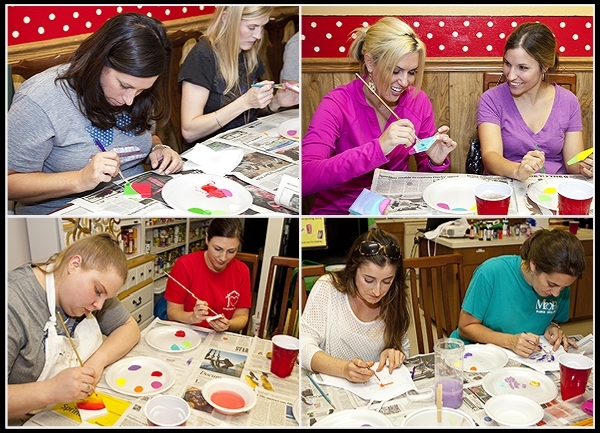 At the end of the evening, she assembled the tiny canvases to reveal a fantastic piece of art that will hang in the Children’s art room and be a great addition to the whimsical room. 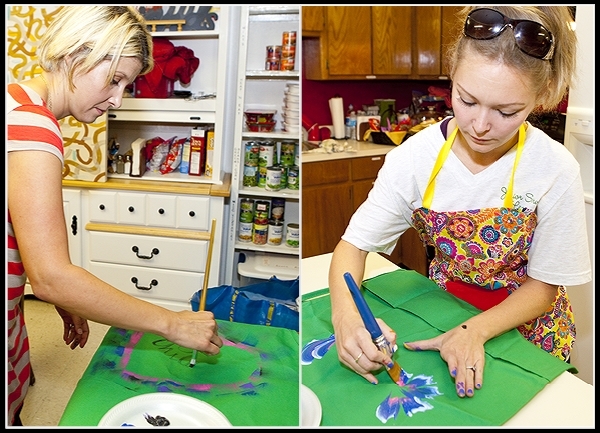 We also painted aprons that the children will be able to use during their art classes and fun times. 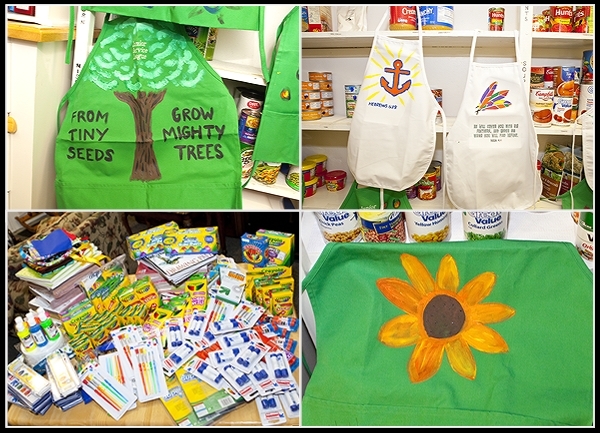 Each apron was unique and colorful and should bring a smile to the faces of the children during their visit. 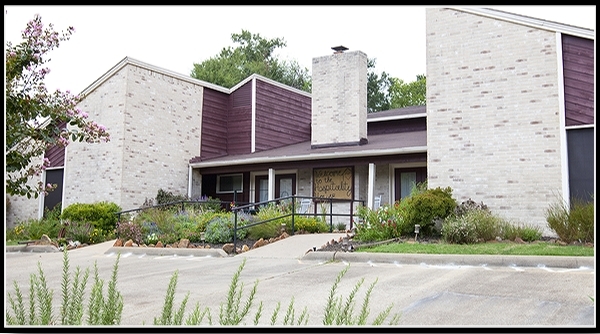 This summer, JSL sponsored the purchase of a cabinet set for the Hospitality House’s new Children’s Art Therapy Building. Last night we were able to leave art supplies to fill the cabinet and give a great start to the new adventures soon to begin! We are SO excited to be a small part of such a huge blessing to the families of inmates, ESPECIALLY their children.